Detail of a miniature of the allegorical personifications of Friendly Expression and Courteous Manner, catching flighty hearts in their net; from Pierre Sala, Petit Livre d’Amour, France (Paris and Lyon), c. 1500, Stowe MS 955, f. 13r. 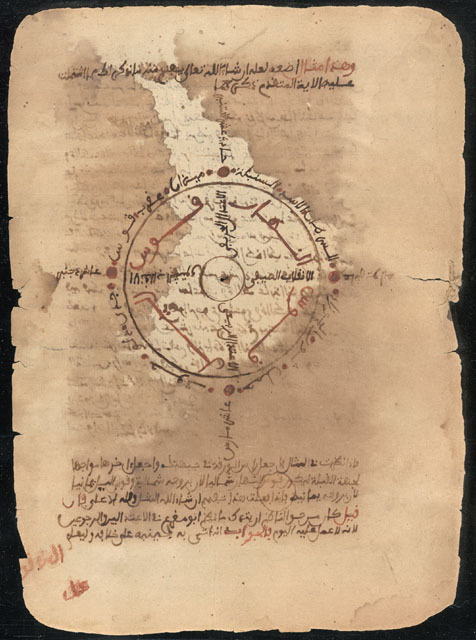 Medieval and Earlier Manuscripts Blog, British Library, 2013-02-14. This entry was posted in Bibliotheken, Blogs, Sondersammlung and tagged 15. jahrhundert, 16. jahrhundert, illumination, livre d'amour, manuskripte, pierre sala on February 14, 2013 by lesezeichenkultur. “They think on their feet when faced with these challenges,” he says. Source: The Library of Congress. This entry was posted in Archive, Bibliotheken, Geschichte, Museum and tagged 21. jahrhundert, kulturgüterschutz, mali, manuskripte, timbuktu on February 11, 2013 by lesezeichenkultur.